Let the sounds of the city fade away as you freshen up your senses with the Gardens Stapled Wall Calendar. 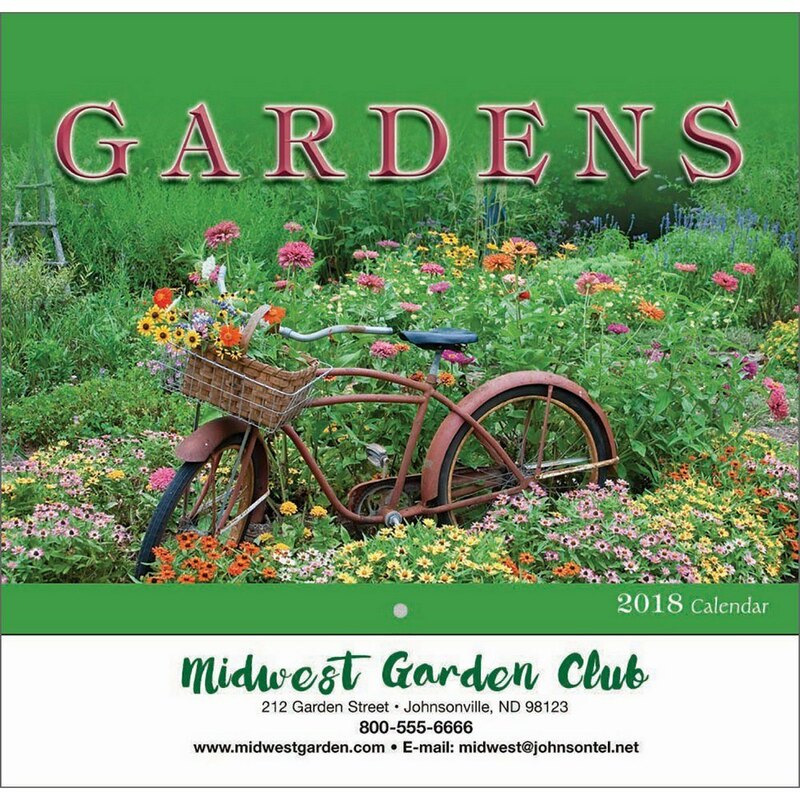 This 13 month calendar features beautiful images of flowers and gardens so inviting that you’ll want to visit them yourself. 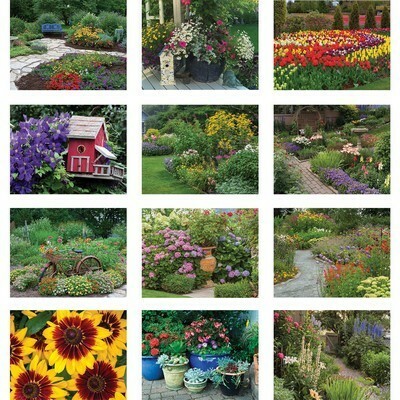 Let the sounds of the city fade away as you freshen up your senses with the Gardens Stapled Wall Calendar. 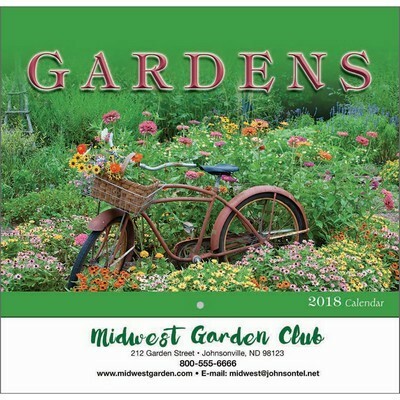 This 13 month calendar features beautiful images of flowers and gardens so inviting that you’ll want to visit them yourself. The date grids have ample space to jot down important appointments and notes. It is one of the cost effective ways to remind your customers of your company’s service and commitment throughout the year. 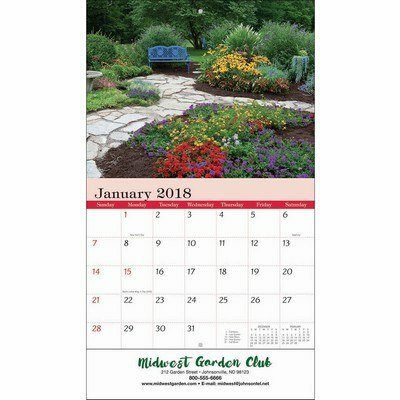 Imprint your company’s logo and information on the calendar and give it away to realtors, appraisers, developers, nurseries, hospitals, retirement homes, real estate, and gardeners, and draw in the intended market for you brand.